Holly Springs is a town in Wake County, about 18-miles to the southeast of Raleigh. It has gained the title of “The Fastest growing Town in North Carolina”, understandable considering that the population was about 900 in 1980 and had grown to 24,661 by 2010, an amazing 2,640% increase! 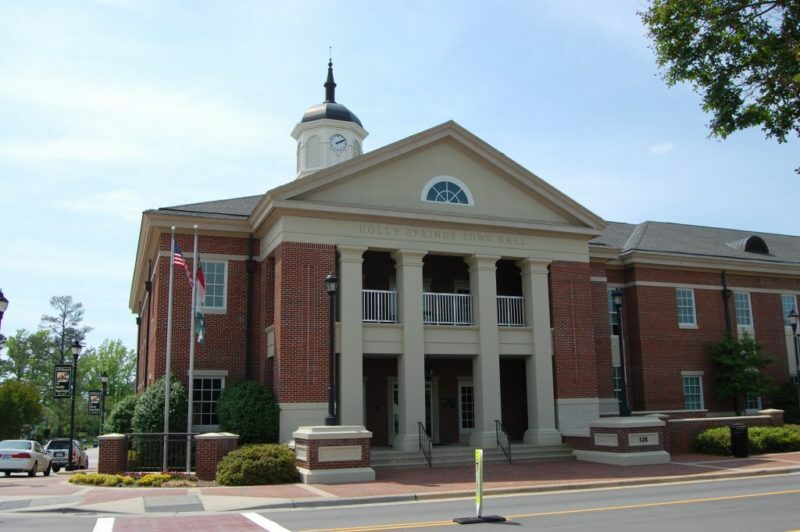 Similar to many Southern small towns, Holly Springs has a very long history. The Tuscarora Indians used the area around the town as a hunting ground prior to colonial settlement. It grew around fresh water springs, believed to be the original “springs,” near the intersection of what is now Avent Ferry Road and Cass Holt Road. These roads linked Raleigh to the Cape Fear River and ultimately to Fayetteville as well as linking Hillsborough to Smithfield. Find your Holly Springs home, checkout Holly Springs Neighborhoods. All of the public schools in Holly Springs are rates between 8 and 10 by GreatSchools.org. To search by a specific school in Holly Springs click HERE. Holly Springs Cultural Center has theater and musical performances on a regular basis. Additionally there is a Greenway system in the town. The newest members of the Carolina Coastal Plains Baseball League are the Holly Springs Salamanders. The town is now connected to Research Triangle Park, RDU International Airport and the I-40 by I540 making commuting to these and other places a lot easier than previously.